Taipei, June 6 (CNA) Taiwan’s top maritime official on Tuesday called for cooperation with regional partners as he proposed a way to resolve overlapping fishing rights claims in waters off Japan-held Okinotori atoll in the West Pacific and turning Taiwan-controlled Taiping Island in the South China Sea into a humanitarian rescue center. 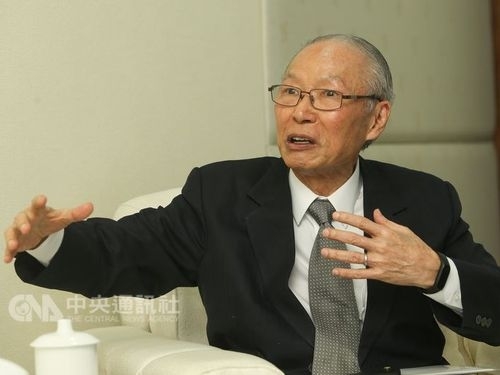 The maritime policy of all countries should embrace the idea of "global public goods" to make better and sustainable use of marine resources, Hwung Hwung-hweng (黃煌煇), minister of the Republic of China (Taiwan) Ocean Affairs Council (OAC), told CNA in an interview. Established in April and headquartered in southern Taiwan’s Kaohsiung City, the OAC is the nation’s first central government agency to take charge of maritime affairs, formerly managed by 22 disparate agencies. Hwung said he has tasked the OAC with three missions to make Taiwan a "maritime power," which he defined as a country willing to explore mutual interests with regional partners, capable of providing humanitarian aid in the event of maritime accidents in heavily trafficked waters and with the capability to develop maritime industry. As a nation whose exclusive economic zone (EEZs), the area extending 200 nautical miles off its coast, is five times larger than its land area, or three times larger excluding EEZs that overlap with those claimed by China, Japan and the Philippines, EEZs potentially confer great value to Taiwan, Hwung said. However, based on the recognition that the ocean is a global public good of interest to all countries, Taiwan has adopted an approach to resolving disputes arising from overlapping EEZs "guided by the principles of harmony and joint development," he said. Asked about the disagreement between Taipei and Tokyo over fishing off Japan-held Okinotori, Japan’s southernmost territory in the West Pacific, Hwung said that Taiwan hopes to sit down for talks with Japan to negotiate a clear demarcation of fishing rights that serves the interests of both sides. Since President Tsai Ing-wen (蔡英文) took power in May 2016, Taiwan’s government has refrained from challenging Japan’s description of Okinotori as "islands," a departure from the former Kuomintang administration’s stance that referred to the uninhabited atoll as "reefs" and thus disputed Japan’s claim to an EEZ. The government does not take a stance on the legal status of Okinotori because it is yet to be determined by the United Nation’s Commission on the Limits of the Continental Shelf (CLCS), but it will protect the rights of Taiwanese fishermen to fish in surrounding waters, according to government statements. "Taiwan and Japan have their respective views with regard to the disputed waters off Okinotori," Hwung said. "We very much care about fishermen and their rights to fish and we are hoping to facilitate negotiation under the Taiwan-Japan Maritime Affairs Cooperation Dialogue to resolve the issue as soon as possible." The issue has been discussed twice under the dialogue, a mechanism set up after the election of Tsai. Taiwan and Japan agreed to continue discussions on the topic on the basis of maintaining safe fishing operations and safeguarding fishery resources, the government said in a statement following the latest round of talks in December 2017. Turning to transforming Taiwan-controlled Taiping Island, the largest of the Spratly Islands, into a base for humanitarian rescue, Hwung called it the centerpiece of the government’s policy in the South China Sea, a disputed region claimed in whole or in part by China, Vietnam, Malaysia, Brunei, and the Philippines. Bordering vital transit shipping lanes, the location of Taiping Island makes it an excellent base from which to conduct search and rescue operations at sea, he said, adding that playing such a role also would help elevate Taiwan’s international stature, especially in the context of China’s ongoing militarization of the region. Following the installation of life-sustaining medical equipment on C-130 cargo planes, used for medical evacuation from Taiping Island to Taiwan, the government has embarked on several projects to improve its maritime rescue capabilities, including strengthening the facilities at Nansha Hospital on Taiping Island and building a hospital ship, according to OAC. With abundant marine resources and advanced techniques in marine engineering, Taiwan also sees great potential for the development of ocean-based industry, said Hwung. "The establishment of OAC demonstrates the government’s commitment to create favorable policies that encourage that development." The OAC will coordinate efforts among Taiwan’s marine research institutes to establish a national repository for marine resources within five years, to promote further marine research and innovation and sustainable use of the resources, he said. Hwung also identified other areas in which Taiwan can cooperate with countries in Southeast Asia, such as advanced marine farming techniques, as part of the government’s New Southbound policy.